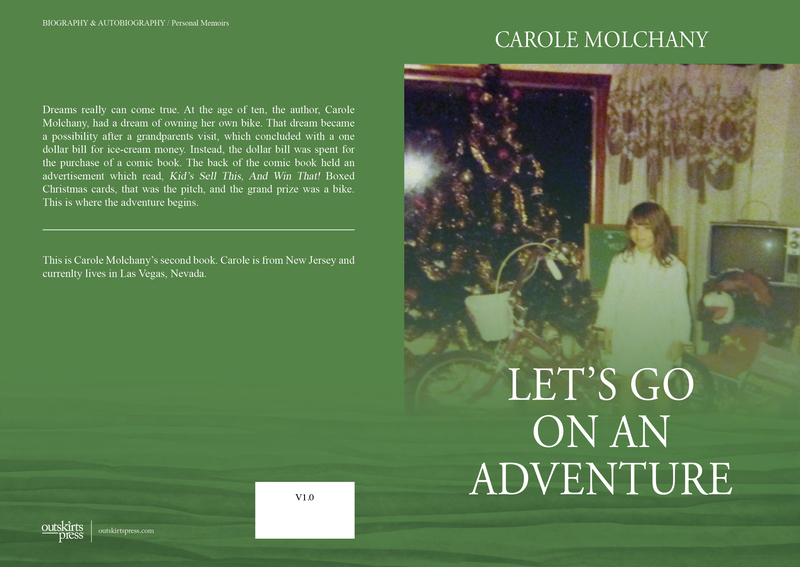 Carole Molchany is self-publishing her second book with Outskirts Press, and she wants your help deciding on her book cover. 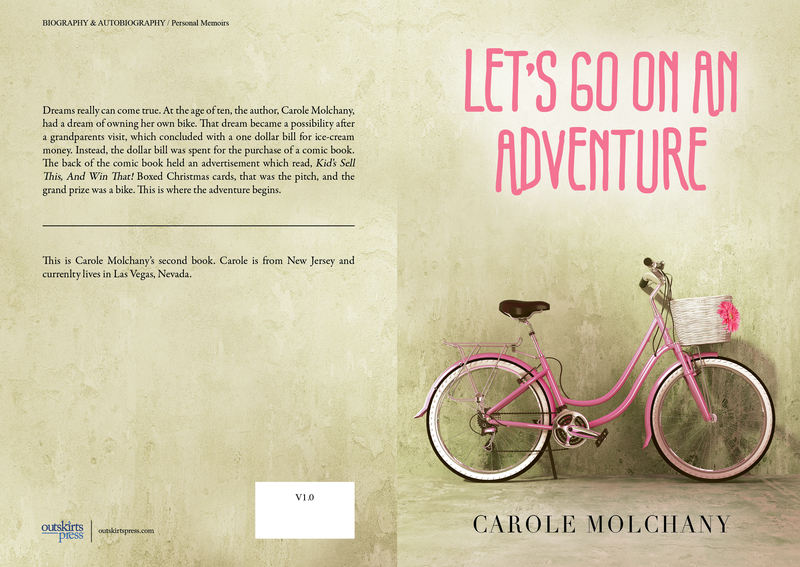 This is Carole Molchany’s second book. Carole is from New Jersey and currently lives in Las Vegas, Nevada. It’s cover A for me. It’s fantastic. The picture of the bike really spoke to the issue of an adventure. The other picture was about Christmas but the story line seems more focused on a young firl’s adenture. Next Next post: Vote now for the winner of the “Show Us Your Love” video contest and help us decide who will win a new laptop!